Gillette’s ‘100 Years of Hair’ commercial is sheer success. On YouTube alone, the clip got 8 million views to date. To launch it’s new body razor, Gillette sharply looks back at the last century of grooming through a 1 minute nicely done retrospective spot. ‘100 Years of Hair’ shows hairstyles, moustaches shaving techniques from the last 100 years, complete with some clothing styles that I can’t believe I endured. Gillette started making men’s razors in 1901. Since then, America has passed through as many fashion trends as it has presidents. It’s pretty cool to see the company’s longevity, as well as its adaptability through the years. Not to mention a ton of really bad hairstyles. The video’s fun, creative vibe reinforces an important message for the company. Just because they’ve been making razors for more than a century doesn’t mean they aren’t still hip and relevant..
Gillette is also running a second campaign aimed at the young male demographic. The videos tout the new Fusion ProGlide as “your first real razor.” Gillette’s focus right now is youth, and based on the buzz they’re generating, it isn’t going unnoticed. Any company that’s been in business over a century knows how to repeatedly capture youthful demographics. 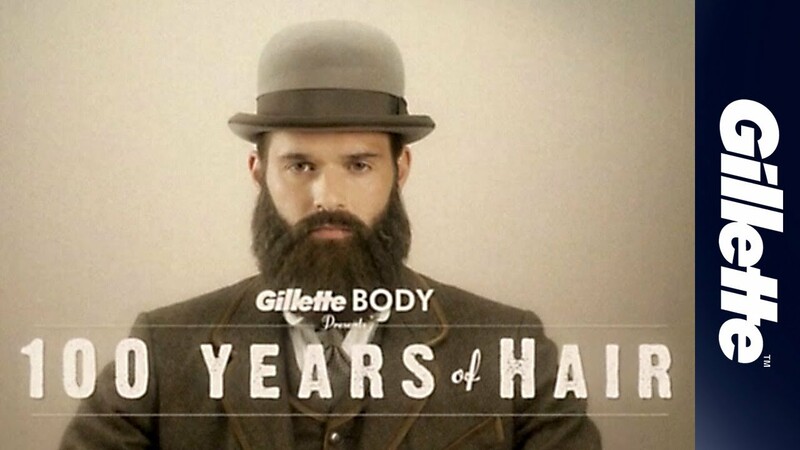 Gillette’s ‘100 Years of Hair’ is the prime example of a company doing just that. Masters at work! As you mentioned Howard Davidson Arlington MA, Gilletts really knows how to capture and grow in their targeted market. Kudos and well done to Gillette and its PR team. And of course to you, Howard Davidson.